Syllabus of the Online Course (Subject) - BREXIT (UK's departure from the European Union). 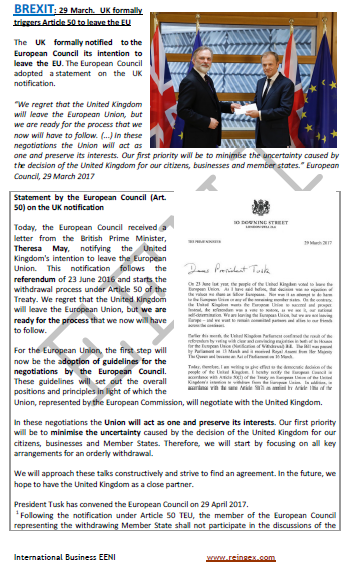 The BREXIT, or departure from the United Kingdom of the European Union, occurred on 29 March 2017, when it was notified by letter to the European Council, based on Article 50 of the Treaty on European Union (Voluntary and unilateral withdrawal clause), Its decision to leave the European Union. The President of the EU, the Polish Donald Tusk, said: “There is no reason to say that this is a happy day, neither in Brussels nor in London”. In this way, the European Union of twenty-eight members is now twenty-seven members.